So you purchased a timeshare in the state of North Carolina and you want to walk away from the burdens? We are going to give you some tips on how to cancel your timeshare contract in North Carolina. Luckily for you The North Carolina Timeshare Act lays out some pretty stringent laws on canceling a timeshare contract in North Carolina, and is also pretty firm on the timeshare developers and the people who sell them. 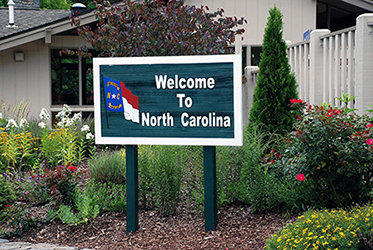 To view the North Carolina Timeshare Act in its entirety please click here. A timeshare developer must, before transfer on a timeshare and no later than the day of a contract of sale, provide the buyer of a public offering statement. The public offering statement must fully disclose the following information. The total financial obligations of the buyer. This includes the initial purchase price and any fees or charges the buyer might be subjected to. Any person who has the ability to alter, or add to charges to which the buyer might be subject to and the terms and conditions under which the charges may be applied. The nature and time of each agreement between the developer and the person managing the timeshare program. The date of availability of each amenity and facility of the timeshare when they are not completed at the time of sale of the timeshare. The specific term of the timeshare. A statement that under North Carolina law an instrument expressing a timeshare must be recorded in the Register of Deeds Office to protect the interest, and any other information that the Commission may require. The public offering statement must also contain a cover letter containing a summary of the text included in the statement. If you did not receive this information when purchasing your timeshare please feel free to give us a call at 1-888-743-9051 to discuss your options and get you one step closer to timeshare freedom! Or visit our Online Contact Form to receive a a Free Consultation! If you executed your contract you have 5 calendar days from that time to opt out and cancel a timeshare contract in North Carolina. You can also not waive that right, the salesman CANNOT have you waive this right in any verbal or written form. If you are still within your 5 day cancellation window and want to go about canceling a timeshare contract in North Carolina, you have two options. You can either hand deliver a notice of cancellation, or send a certified letter via mail of your notice of cancellation. We recommend that you do both to ensure the prompt canceling of you timeshare contract. If you need help drafting a notice of cancellation please give us a call at 888-743-9051 and we will be more than happy to assist you. As stated in the North Carolina Timeshare Act, any money deposited toward the purchase of the timeshare must be held in escrow by the developer for the 5 days after execution of the timeshare contract. They are required to immediately refund any fees or deposits made, in their entirety after receiving the the notice of cancellation. This makes canceling a timeshare contract in North Carolina pretty hassle free, unless you are past the the 5 day cancellation window. If you are past your 5 days and want to cancel a timeshare contract in North Carolina please give us a call at 1-888-743-9051 for a free no hassle consultation. The North Carolina Timeshare act also lays out very strict guidelines on timeshare salesman and timeshare developers. In order for a person to sell, or attempt to sell a time share in the state of North Carolina, they must hold a real estate broker license issued by the North Carolina Real Estate Commission. Also, developers of timeshare projects must register them with The North Carolina Real Estate Commission. It is a felony for a person not licensed to attempt to, or sell timeshare properties. Past Your 5 days! Are You Firm on Canceling a Timeshare Contract in North Carolina? If you are past your 5 days and still wish to take the steps on how to cancel a timeshare contract in North Carolina, please give us a call at 1-888-743-9051 for a Free Consultation. Redemption and Release, LLC can make canceling a timeshare contract in North Carolina easy and cost-effective. Use our Online Contact Form to request free, no-obligation information about canceling a timeshare contract in North Carolina. Take the steps to become timeshare free today!